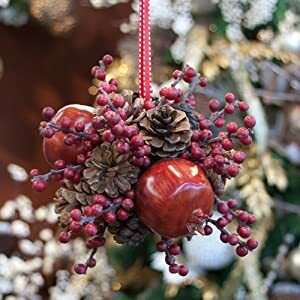 Perfectly complimented with artificial pine cones, our 8 inch Pomegranate Berry Kissing Ball is perfect for the holidays! 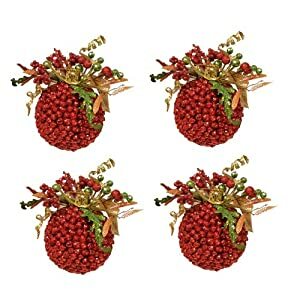 Hang multiple kissing balls to spread the festive spirit around the home or office. Also makes for a perfect and unique gift! 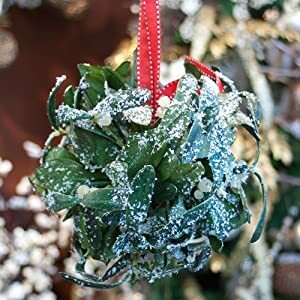 Our 8 inch Mistletoe and Bay Leaf Frosted Kissing Ball is perfect for the holidays! Hang multiple kissing balls to spread the festive spirit around the home or office. Also makes for a perfect and unique gift! 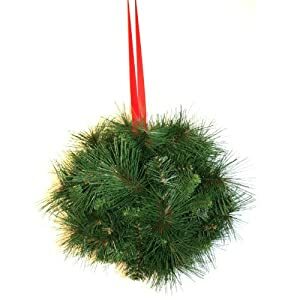 Bring Holiday charm and warmth to your home this season with the Good Tidings Pine Kissing Ball . 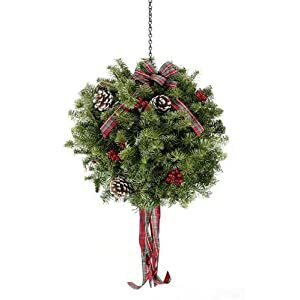 Unlike the traditional mistletoe, this beautiful holiday garland features a mixed pine finish to compliment your other seasonal trimmings. Generous 12-inch diameter. Please allow 2 business days for order processing.